InnerCity Mission HQ > Blogs > Why Sponsor the hope Mission to victims of Cyclone Idai in Mozambique! 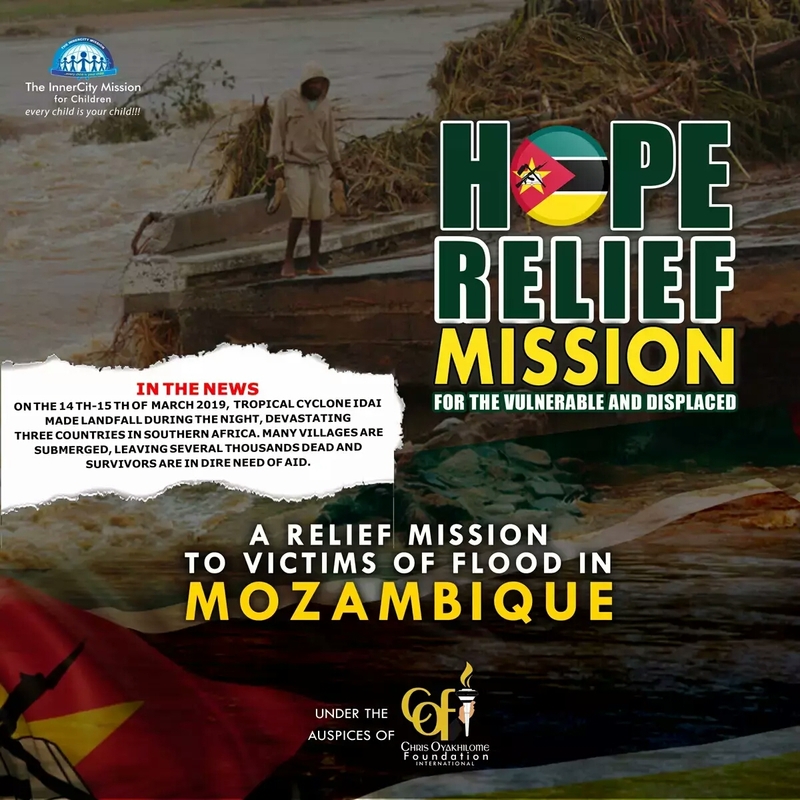 Why Sponsor the hope Mission to victims of Cyclone Idai in Mozambique! Cyclone Idai caused a deadly flood that swept through 3 neighboring African Countries- Mozambique, Malawi and Zimbabwe over the past few days, but the worst of the flooding has been in Beira-Mozambique. People are trapped in remote areas and hunger is looming.